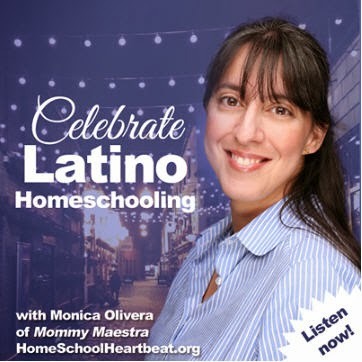 Welcome back to Day Four of Spanish Language Learning Week on MommyMaestra! If you are looking for a full-immersion program then let me introduce you to Calico Spanish. Opening the box that contained Calico’s Teach at Home curriculum was a very pleasant surprise! I was immediately struck by how thorough it is. It is designed to teach children in Kindergarten through 5th grade. • Teacher’s Manual – A comprehensive guide containing a welcome section that explains about the program; an introductory lesson to help the teacher prepare and become comfortable; and then 15 lessons. Calico offers two sample schedules for varying length of class time. In a 30 minute class, the lesson can be taught over a period of up to 10 days. For 60 minutes, parents might prefer a 5-day schedule. But of course, I can modify it all to work for my family’s schedule. Each lesson contains songs, calendar time, a specific number, letter, and color, games, "zoo" time/animal introduction, activities and a final closing. Not all of these are taught in one day, but rather spread out over the one- or two-week period. I really like how flexible the lessons are; I can choose to use the scripts provided, or simply teach it on my own focusing on the subject. 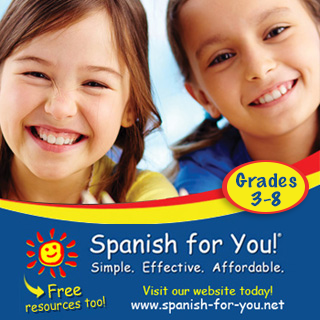 The lesson scripts are provided in Spanish and English, though they encourage you to use only Spanish. • Student Activity Book – This books mostly contains the words to the songs the children are learning – which provides them with a wonderful opportunity to learn how to read in Spanish. But there are also a few worksheets and coloring pages, including a blank calendar that they can fill in each month. The book is spiral bound, which I really like because since I have two kids, I can easily make copies of each page without wrestling with the binding. • Spanish Songs for Kids CD – Very fun and easy for kids to learn. You can listen to a sample here and watch the accompanying video. • A set of Calico Spanish Flash Cards – A custom set of 149 flash cards showing the alphabet, numbers, colors, etc. We love the illustrations! My kids are very visual and if the illustrations are not appealing, then they get bored. That’s one thing I don’t have to worry about with this curriculum. • Verbos Flash Cards – 93 action verbs depicted with Spanish words, plus a suggested activity card. These can be displayed on your class board, or used in the lesson. • First Thousand Words in Spanish – A Usborne fully-illustrated dictionary that immediately captivates children. (Don’t all Usborne books?) My kids love looking through this book and calling out the words. • ¡Corre, perro, corre! By P.D. Eastman – A super funny book about dogs engaged in all sorts of activities. • Homeschool Poster Set – This set of posters can be posted on the wall or board in your classroom. It includes lables (months, headers), mini-posters (emotions, colors, numbers by tens), and posters (the alphabet, the parts of the body). What has impressed me the most about this curriculum is that so much thought and effort has gone into creating each piece. And I SO appreciate that Calico provides me with everything I need, including the classroom posters and bulletin board labels. As an added bonus, I discovered Calico’s YouTube channel. I’m not sure if these videos are incorporated into the lesson plans (I haven’t run across one yet), but they would certainly go very well with the curriculum. The curriculum is pretty pricey, though, and costs $349.00. You can purchase it here. This is the most expensive curriculum I had the chance to review, but I want to remind you that you get a high-quality product that includes all the tools you need to teach the lessons effectively. They are so sure you’ll love their product that they offer a 30-day money back guarantee. Calico is currently working on an online version that will be $49 for the first month and then $9/month thereafter. And parents will receive physical copies of select materials with their initial purchase. Again, if you have any questions or thoughts, leave a comment below and we’ll get back to you. I wonder if some parts of it will not be of use to me since I have a rising 4th grader. Karen, this is an introductory program. I'm not sure how fluent your child is, but this centers around the basics. I believe, however, that Calico has plans to release Level 2 for homeschools in August of this year (2012). Level 2 is a terrific resource providing lots of opportunities for discussion and responses to literature. I can put you in touch with them if you'd like to find out more about it? Hi there. Should I go with Calico or Sonrisas program for at home immersion? Well, it depends on what angle you want to take. 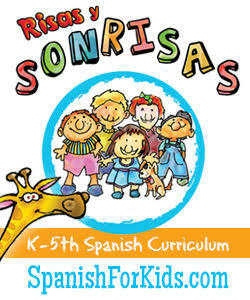 Sonrisas has a heavy literature component to it and incorporates a lot of bilingual books, which you'd have to purchase separately. Calico does not have that heavy emphasis on literature, but comes with all the resources you see above. Thanks, I guess I want the one that would be the most effective in getting my children and I fluent the fastest. While having fun too. Is Calico useful for non Spanish speaking children? Thank you for organizing everything into a list and writing recommendations for each. Absolutely, Gladys. 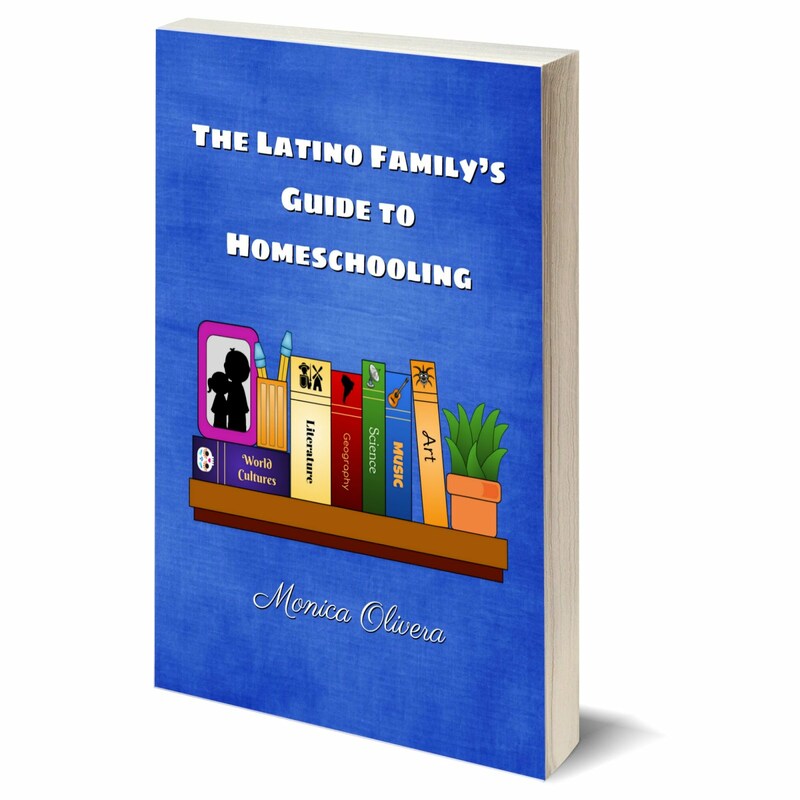 Although this is available as a full-immersion program, the Teacher's Guide comes with text in English and Spanish, so you can choose what works best for your children. buenos días! quería escribirles en el modulo de contacto pero no funciona. quisiera saber como puedo haber los videos del curso Calico spanish porche nel sito del Calico non interprete muy bien lo que decía. Soy la madre de dos ninos que quieren aprender el español. Gracias! Calico says that Level 2 is not going to be released for homeschoolers. The program looks excellent, but I don't like the idea of then having to do all the lesson plans once we finish Level 1. Do you have another suggestion for a program? I am not a native speaker, but I did teach Spanish prior to having children. Therefore, I'm looking for a program that requires/benefits from my Spanish knowledge. Thanks! 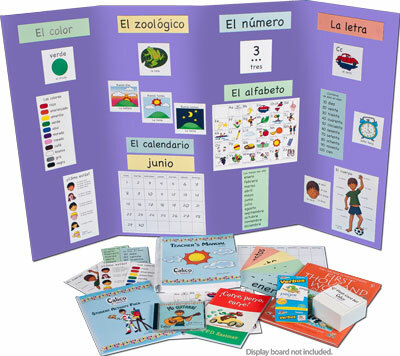 Or you could focus on reading and writing skills with materials from Lectura para niños. 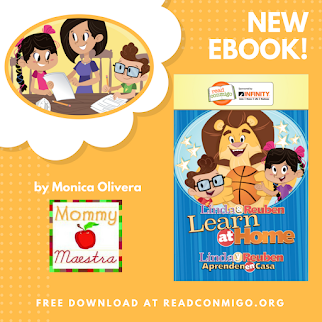 (http://bit.ly/19Mk2om) and then supplement your lessons with Latino children's books to teach them more about the culture. Thanks for the help! I'm planning to buy level 1 Calico, but would also like to get my hands on level 2, just not for the $1200 school purchase price and Calico won't sell items individually. I'm failing miserably at finding a used copy of 1 or 2, do you know of any Spanish curriculum sale sites where I might find them? The only place I can recommend would be eBay. You can sometimes find used curricula on there.